Tipard DVD Software Toolkit is a comprehensive tool that is composed of DVD Ripper, Video Converter, DVD Creator, DVD Cloner and iPhone Transfer Ultimate,. 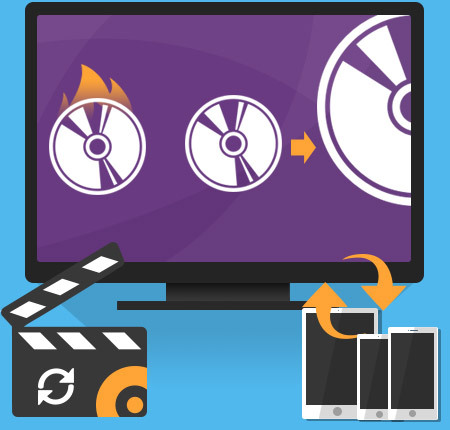 Therefore, the software can convert DVD and video to popular video formats, create DVD with video files, copy DVD and transfer iPhone files between iPhone and computer. Why choose Tipard DVD Software Toolkit ? This unique DVD Software Toolkit can not only assist you to convert or rip DVD to video, and convert among all popular videos (HD video and SD video), but also transfer various files from iPhone to PC, or from PC to iPod/iPhone/iPad. The DVD Toolkit is able to convert DVD movies to video files. 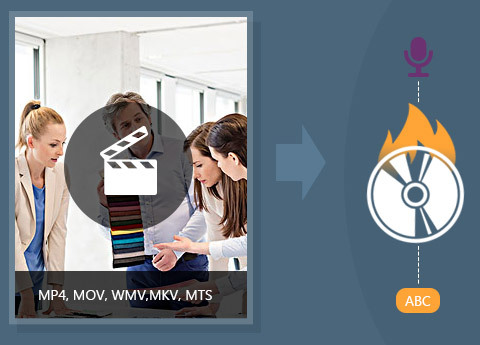 Apart from DVD, It can convert video in SD or HD to other popular video formats like AVI, MOV, FLV, WMV, MKV, MP4, MOD, M4V, HD TS, HD MTS and HD M2TS etc. The converted video formats are compatible with iPad, iPhone, iPod, Samsung Android devices, Windows devices, BlackBerry, Nokia Lumia, Samsung Galaxy S4 and Samsung Galaxy Note etc. Moreover, the DVD software can extract audio from any DVD and video sources. If you prefer to collect music and songs, this is a wonderful choice without doubt. The audio can be MP3, AAC, AC3, FLAC and M4A etc. If you're in trouble with creating DVD with your video files, the feature in this software can provide the best solution. With it, you are able to fling your trouble to the wind. The sources can be wedding, birthday, graduation, party and more videos in formats of MP4, MOV, WMV, MKV, MTS, M2TS, TS, FLV, MOD and AVI etc. In addition, users can freely choose diverse menu background, frame style, button type and DVD title content, font, color and size to get customized DVD menu. Add background music, audio track and subtitles to output DVD. The output DVD can be DVD disc, DVD Folder or ISO image file. The supported DVD types are DVD-5(4.5G) and DVD-9(8.5GB). The DVD copying feature is completely different from DVD Creator feature. It is to clone DVD to DVD. DVD disc can be copied to DVD disc, DVD Folder and ISO Image file with 3 copying modes in Full Copy, Main Movie and Customize. Want to keep original quality of DVD, and the DVD Cloner is able to copy DVD in 1:1 ratio: DVD 9 to DVD 9 and DVD 5 to DVD 5. If you want to compress DVD to save space, the software can do it, as well like compressing DVD 9 to DVD 5. Apart from copying DVD disc, it can copy local DVD files like DVD Folder or ISO Image file to DVD disc. The copy quality is excellent and speed is ultrafast. If you like to share or back up iPhone/iPad/iPod files from and to PC at times, iPhone Transfer Ultimate is the best assistant to you. It is capable of transferring music, movies, video, photos, TV Shows, Podcast, iTunes U, eBooks, Camera Roll, Ringtone, SMS (MMS), Contacts, Voice memos, Camera Shot from iPhone/iPad/iPod to computer, while it can import music, movies, video, photos and eBook to iPhone/iPad/iPod from PC. Plus, making ringtone is the special function of the software. The ringtone source can be everything from DVD, video, music and song. With it, it cannot be much easier to make ringtone. With Effect, Trim, Crop, Watermark function, you're granted to edit the videos for a better video effect. Apart from convert DVD movies to video files, It can convert video in SD or HD to other popular video formats like AVI, MOV, FLV,etc. With the built-in player, you're free to preview the DVD movies and videos. Also, you can capture the video images and save them on your local disc. The advanced acceleration technology enables you to finish the conversion in a few seconds. What's more, it supports batch conversion, which greatly saves your time. Alan:Tipard DVD Software Toolkit is awesome. 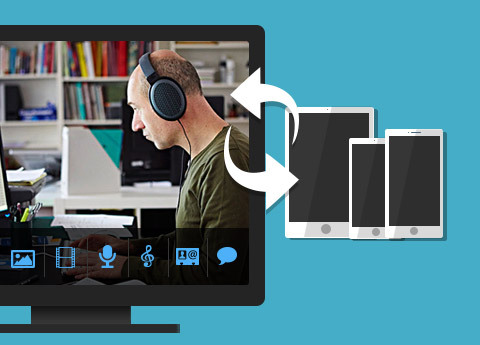 It is able to do lots of things like converting DVD and video, copying DVD, creating DVD with video and transferring iPhone files from and to computer. I used to convert DVD and video most. It's really convenient.